A 150-year-old bottle of stout has been returned to its original brewery in Glasgow after being discovered on an Australian shipwreck in the 1970s. 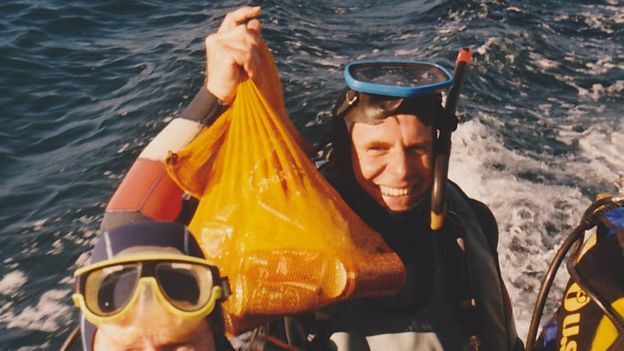 Diver Jim Anderson came across the bottle of Tennent’s close to the site of the ill-fated The Light of The Age which was carrying 42 people on a voyage from Liverpool. It is believed the bottle, possibly the oldest bottle of beer in Scotland, was on board the clipper when it’s drunken captain caused it to sink near Melbourne on 16 January 1868. Recalling the discovery, 72-year-old Mr Anderson said: “I could see the inscription Wellpark Brewery on it, and I set about finding where that was. “I found out it was in Glasgow, and I contacted Tennent’s to see if they were interested in the bottle, which they were, and I was delighted. The Scottish brewery had well-established agents in Liverpool and Australia, and regular shipments from Glasgow via Liverpool were common. However the captain, who was found to be drunk by a marine board investigation, took the ship off course and ran it aground. To mark the shipwrecked bottle’s homecoming, Tennent’s brewers have gone back through old recipes in order to recreate a commemorative-edition run of the stout.